"The Department of the Army will not approve an easement that would allow the proposed Dakota Access Pipeline to cross under Lake Oahe in North Dakota," said a statement on the US Army website, citing the Assistant Secretary for Civil Works, Jo-Ellen Darcy. The pipeline was intended to pass through North Dakota's Lake Oahe, which is a burial site sacred to the Standing Rock Sioux. The tribe voiced concerns the pipeline would threaten the community’s drinking water and would also damage sites of sacred significance. The tribe’s chairman paid thanks to its “millions of supporters around the globe” and said they looked forward to celebrating their victory at home with their families in the coming days. North Dakota Governor Jack Dalrymple reacted to the news of the changed route in a statement, calling the decision ‘‘a serious mistake’’ that “prolongs the serious problems” that law enforcement faces, as well as what he described as the dangerous situation experienced by those camping in cold winter conditions. 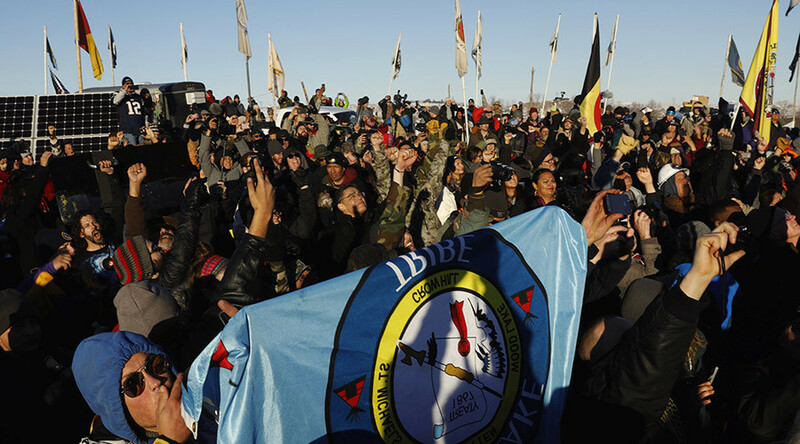 Standing Rock Sioux tribe also expressed its wish to heal the relationship with police following tensions and clashes during the standoff. While protests have been largely peaceful, confrontations with police have led to violent clashes in recent weeks. The chairman emphasized the importance of working together and considering native tribes when making huge impacting decisions. Around 564 people were arrested during the protests, according to the Morton County Sheriff's Department. The Army Corps of Engineers previously threatened that the camp would be closed on December 5, ostensibly to protect the public amid violent confrontations between protesters and law enforcement agencies. 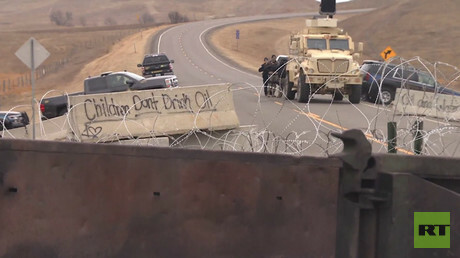 Indigenous leaders and veterans met with law enforcement earlier this week on the Back Water Bridge, where the state of North Dakota has placed a barricade blocking highway 1806. Activists argued they had the right to use the highway and asked authorities to remove the barrier so that they could access the highway in cases of emergency. Brenda White Bull, a veteran and descendant of Chief Sitting Bull, explained the significance of the site, telling the authorities that Native Americans’ relatives and leaders are buried on Turtle Hill. “Destroying our sacred burial sites is like someone going through Arlington National Cemetery and digging up all those grave sites. We would never desecrate veterans’ grave sites, out of respect,” she told law enforcement. “This movement has never been about North Dakota law enforcement or about attacking the police and we have never done that. The only times there have been confrontation is when they confront us and forcibly remove us from unceded treaty lands by using war weapons against unarmed Water Protectors,” Kandi Mossett of the Indigenous Environmental Network said, referring to the 1851 Treaty of Ft. Laramie that refers to the area as sovereign land under the control of the Oceti Sakowin (Seven Council Fires of the Sioux). The sheriff added they “don’t care” which way the easement decision on the pipeline crossing is made, adding that it is the law enforcement’s job to enforce it.